Home » Conservation » Solar Panel on Space, Is it Possible? Finding the solution of energy crisis now facing, a new plan triggered the use of solar power. With the new plan, direct sunlight will be collected in space using satellites and eventually fired directly into the earth to be used. The initiative is the plan came from former Indian President APJ Kalam and the National Space Society (NSS). The plan was disclosed on Thursday, November 4th ago. "The collection of space-based solar power will transform the earth into a clean planet, promising and happy," Kalam said while attending the press conference that plan. The plan itself in detail is launching a satellite that has a large solar panel. The satellite will collect solar energy in large quantities and then convert it into microwaves that will be emitted into the earth. microwaves that then is converted into electrical energy by the receiving antenna is called rectenna. 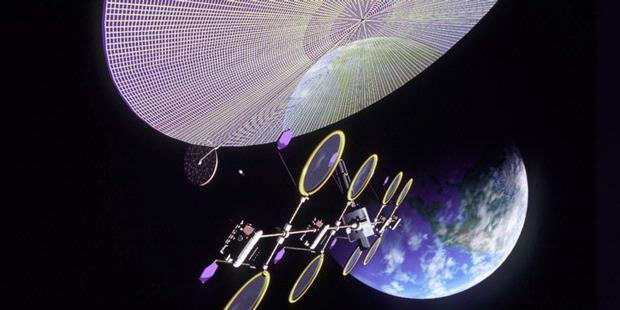 Space-based solar panels that can be directed to various regions of the earth and not be affected by changes in weather and change of day and night. It is said by Mark Hopkins, chairman of the National Space Society's executive committee. Hopkins also said the technology is able to transmit large amounts of energy without endangering the environment. "This technology does not produce carbon dioxide. So it is very clean and is a renewable energy source," he said. Although very promising, the development of this technology is still facing technical constraints. However, kalam continue to believe that this idea can still be realized in the next 15 years. He will try to persuade the G8 countries and the G13 to join and implement the idea. Arcing plan marks a joint United States, represented by the Indian NSS. The originator of the idea of trust, the execution of this plan is not only beneficial in terms of energy. "This collaboration will also create jobs in both countries," said Hopkins. In this cooperation, the United States will contribute in starter technology while India will play a role in spearheading the production costs are cheap.